1. Turn Key off and then to KL-R or KL-15. 2. The vehicle is ready for pairing for the first 2 minutes of key on. E53 X5 the seatbelt needs to be plugged in and the R/T button pressed on the MFL and "Activate Phone"
appears in the Instrument Cluster. 5. Your mobile phone should now be set to search for BT devices. See the Owner's Manual for your handset. A request to enter a password, PIN, or code appears on the handset display, depending on your model. the handset and confirm the input. Look for a confirmation message on the handset. 7. To conclude the pairing process, turn the key off. depending on the number of entries. Post from the guy that figured out TCUs are retrofittable BT and codable. The IBUS TCU can be paired with the following sequence: Note the 4 digit pairing code (labeled PK: xxxx on the TCU). Begin with the car off, insert key and turn to position 2, press R/T on the steering wheel (MID flashes "Searching...") then tell your phone to search for devices. If successful, the phone will find BMWnnnnn where nnnnn is the last five digits of your serial number. Tell your phone to connect, enter the pairing code from the label (xxxx) and you should now have a phone paired with the TCU. Up to 4 phones can be paired with the TCU (if you pair a fifth, the first one will be lost), and the priority when pairing (if multiple are present) is high-to-low priority in reverse pairing order so the last phone paired has highest priority. Both of these are essentially the same, however the second one is more accurate with regard to what I see, pressing R/T results in "Searching..."
5/6/2011 6:50:34 PM.219: RAD --> BMBT: Cassette control: State_unknown, Data="90"
5/6/2011 6:50:34 PM.235: RAD --> BMBT: Cassette control: State_unknown, Data="5A"
5/6/2011 6:50:34 PM.313: IKE --> ANZV: Update Text: Layout=Time Flags= F0="18:52 "
5/6/2011 6:50:34 PM.500: AB --> GLO : Remote control central locking status, Data="03 00 0A"
5/6/2011 6:50:34 PM.875: IKE --> PDC : Gong status, Data="00 00 00"
5/6/2011 6:50:35 PM.188: GT --> RAD : Radio status request, Data="00"
5/6/2011 6:50:35 PM.266: AB --> GLO : Remote control central locking status, Data="03 00 1A"
5/6/2011 6:50:35 PM.297: AB --> GLO : Remote control central locking status, Data="01 00 1A"
5/6/2011 6:50:35 PM.407: RAD --> BMBT: Cassette control: State_unknown, Data="90"
5/6/2011 6:50:35 PM.469: EHC --> GLO : Suspension control, Data="01"
5/6/2011 6:50:37 PM.516: TEL --> IKE : Display Text: Layout=0x42: Flags=CLS F0="SEARCHING..."
5/6/2011 6:50:38 PM.313: AB --> GLO : Remote control central locking status, Data="00 00 1A"
5/6/2011 6:50:57 PM.251: TEL --> IKE : Display Text: Layout=0x42: Flags=CLS F0="SEARCHING..."
5/6/2011 6:51:00 PM.861: IKE --> ANZV: Update Text: Layout=Time Flags= F0="18:53 "
5/6/2011 6:51:23 PM.330: TEL --> IKE : Display Text: Layout=0x42: Flags=CLS F0="ACTIVATE PHONE"
5/6/2011 6:51:49 PM.394: TEL --> IKE : Display Text: Layout=0x42: Flags=CLS F0="ACTIVATE PHONE"
5/6/2011 6:52:00 PM.785: IKE --> ANZV: Update Text: Layout=Time Flags= F0="18:54 "
5/6/2011 6:52:15 PM.474: TEL --> IKE : Display Text: Layout=0x42: Flags=CLS F0="ACTIVATE PHONE"
5/6/2011 6:52:21 PM.599: AB --> GLO : Remote control central locking status, Data="00 00 0A"
5/6/2011 6:52:21 PM.802: AB --> GLO : Remote control central locking status, Data="02 00 0A"
Any INPA support for pairing or clearing stored phones? This uses bluetooth to talk to the handset, but its a non "headset" - Bluetooth to the phone system (I think), rather something proprietary system to connect to the cordless phone in the car, basically a second generation of the BIT II system, but this time using Bluetooth instead of DECT. SO basically a paper weight without the rest of the console bits and handset. Last edited by dlclarke; 05-07-2011 at 01:48 AM. This makes so little sense to me, the TCU for Europe, last year and part number in production and no useable Bluetooth...??? I am confused. That's Bluetooth. 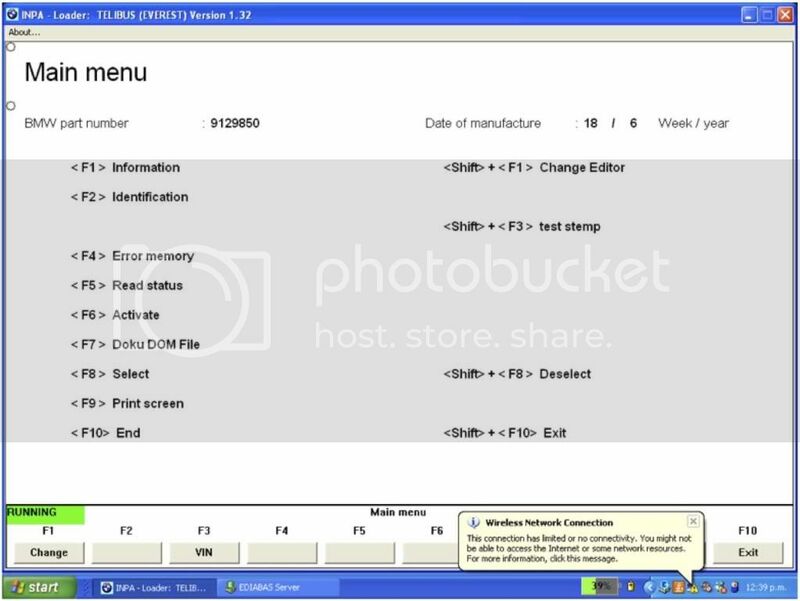 WDCT was canned in TCUs after late 2004. 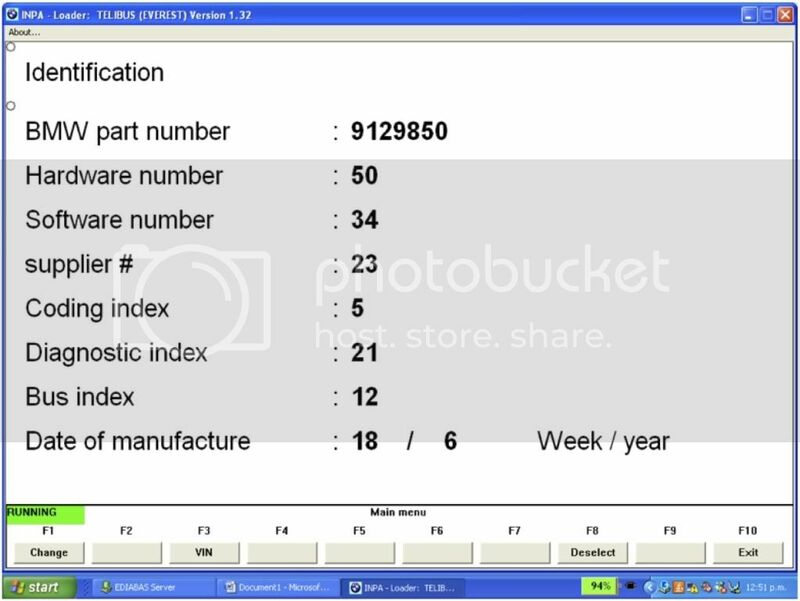 Ok - so I have an 06 4.8is and a Motorola e815. I paired my phone and it worked flawlessly and I really enjoyed the bluetooth feature and the ability to drive with both hands on the wheel. Definitely recommend it for anyone who uses their phone a lot. Then - one day i tried to make a call and the call went through the phone and not the BMW. I tried to pair the phone again w/o any luck. The phone icon from my display also went away. Vehicle went to dealer and the problem was solved. 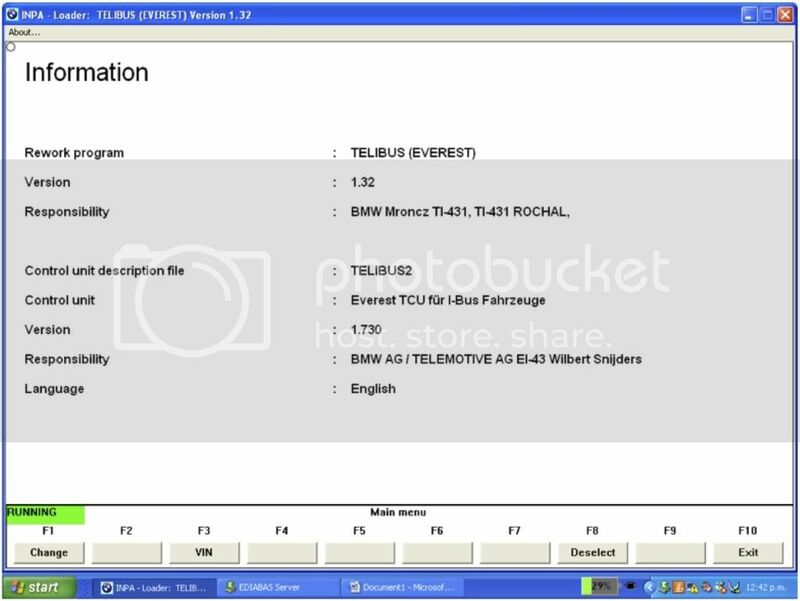 Invoice states: Telematics unit could not be identified. Attempted transport mode deletion w/o success. Completed a battery reset. Successfully paired bluetooth phone to car. So - maybe a battery reset is a quick fix that might help you out if you run into my same problem and you can avoid a trip to the dealer. Transport mode seems to be an issue that can prevent BT working. 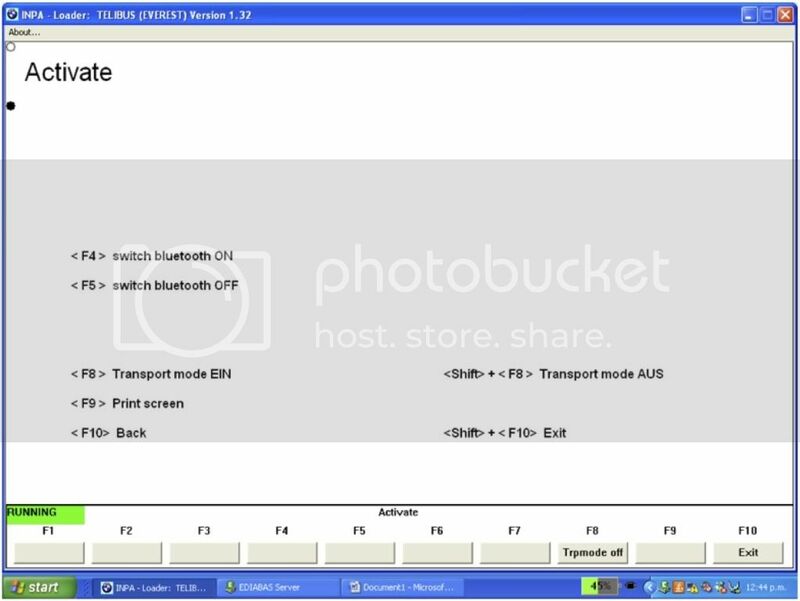 Transport mode could either be "shipping mode" or the BT H4 LCI Transport mode which is some sort of control layer. The iPhone control component is able to switch the Bluetooth chipset on/off and properly initialize them in HCI H4 Transport mode with baud rates from 57600-921600 on all iPhone and iPod touch devices with build-in Bluetooth. Higher rates cannot be specified yet, especially not the 2.4 Mbps used by Apple. The problem is not with the Bluetooth chipset. The termios call to set the speed of the serial port returns "invalid parameter" for higher baud rates. 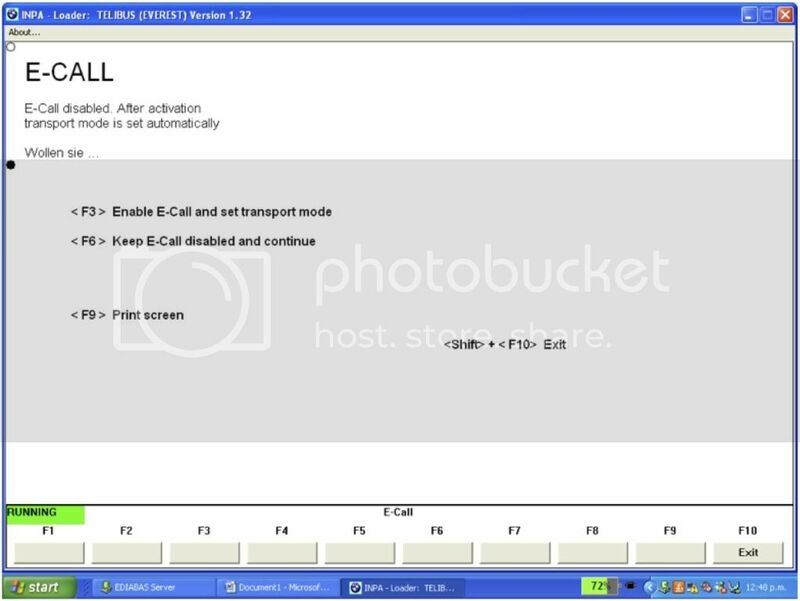 Your E-CALL and hence transport mode is disabled, possibly because of the GSM antenna. Try F8 and a battery-off reset. Please remember to dump the TCU coding before and after. Maybe if this works you could do it again whilst logging with Navcoder when you get your second interface going? 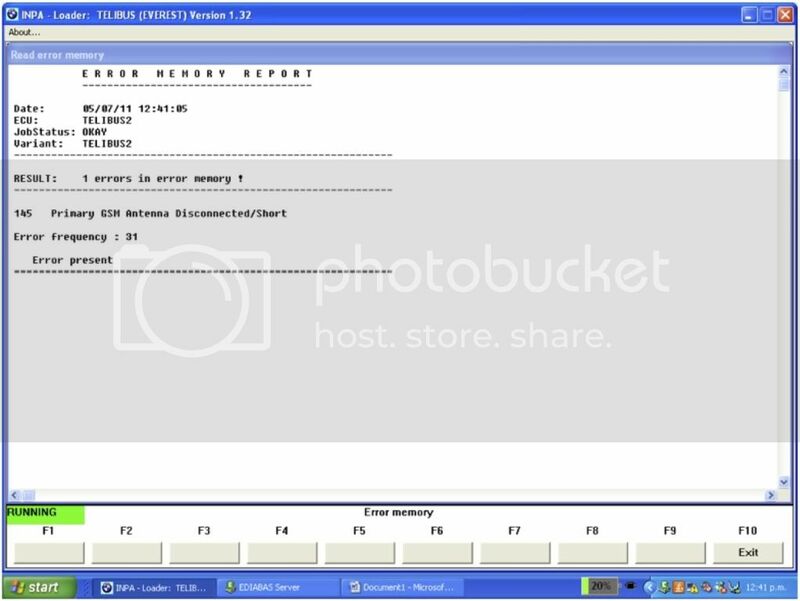 This function closes an existing connection between the HCI layer in the stack and the Bluetooth hardware. This function opens a connection between the HCI layer in the stack and the Bluetooth hardware. This function obtains the hardware characteristics of the Bluetooth controller. This function reads the packet from the connected Bluetooth hardware. This function obtains the HCI parameters. This function initiates the Bluetooth hardware. This function releases the Bluetooth hardware. This function writes the packet to the connected Bluetooth hardware. You could imagine how if the HCI control is disabled, the TCU cannot the the BT module to open up a pairing connection or audio link. Why the hell it is disabled after an E911 call is something I don't know. I had the transport mode problem. When I called bmw assist, it just froze, saying 'call active, receiving data' or something. The service dept quickly set it right. 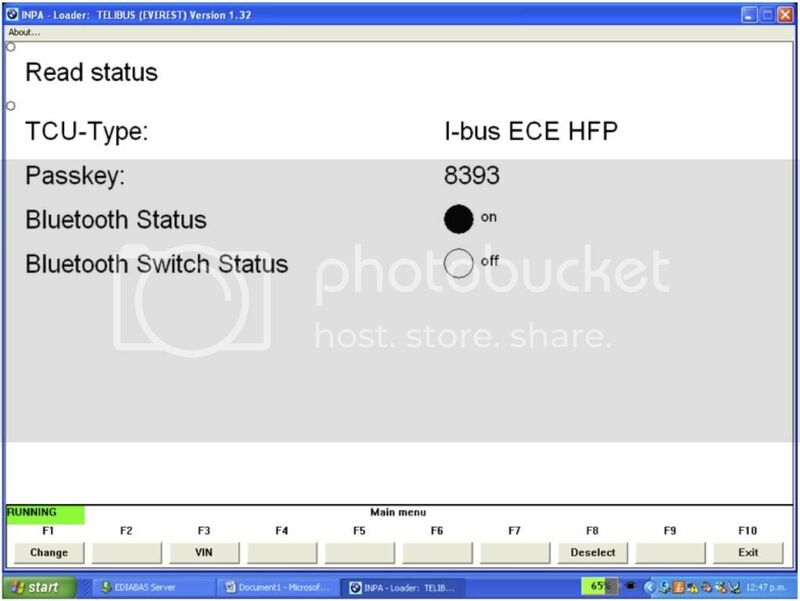 So it could be that the transport mode is a data bridge between the iBus and the GSM module to allow remote diagnostics. So what is E-CALL, and why does it have control of the BT? he ConnectedDrive system now offers a new service called the BMW Advanced eCall. The BMW Advanced eCall is designed to provide the emergency services with detailed information about the type of collision and injuries in case of a crash probability even before they arrive on the scene of an accident. This gives them the possibility to prepare better for the situation. Source. Some sort of dial up modem for the car then. considered but also to its step in its life cycle (see the figure 3.2 below). organization which distinguishes mainly the five following stakeholders! part of the In-Vehicle system. So I wonder if an E-CALL trumps BT for resource from the mic and speakers, hence disabling pairing and connection. Try Shift+F9 and a battery-off reset.